Wide, high quality strap results in patient comfort; Straps are machine washable and reusable. Prevents skin damage due to slippage of straps against skin; Non-slip, non-latex rib is woven into the wide straps. Easy to apply plastic belt tabs connect readily to buttons on the leg bag yet hold the bag securely in place. The manufacturer states each order is for the straps only. Have tried several different types of straps and this is the best one of them all. Easy to use clips, wide and comfortable, fully adjustable and when you perspire they do not stick to your leg like the rubber one. Great in every way. 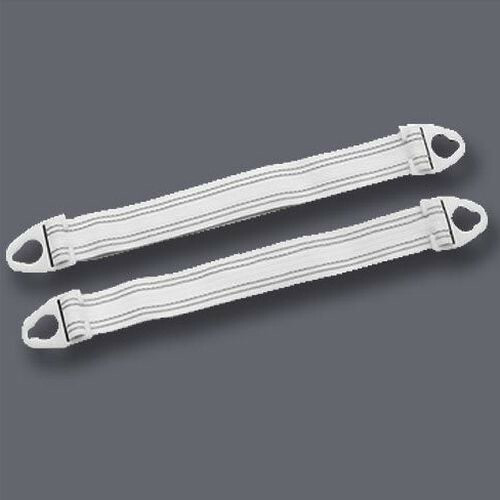 These straps are required for Hollister leg bags. These are much wider than others providing more comfort as the straps do not cut into the leg as much as the narrow straps do. This is a better than othere. You need to have these straps because the Hollister Leg plastic bag needs to BUT the LEG STRAP.